I live in Ashland county Ohio, which has a high population of Amish. 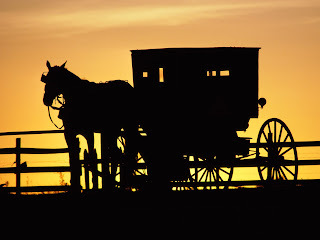 It is not uncommon for us to hear the clip-clop of horses as the buggy of an Amish family makes it way down our street to the nearest farmers market or Walmart. The Amish interact with those of us who are the "English," but they are also a closed community. Few develop close relationships with someone who is not Amish. I do, however, know a few ex-Amish. So when something about the Amish appears in the news it tends to gets my attention. 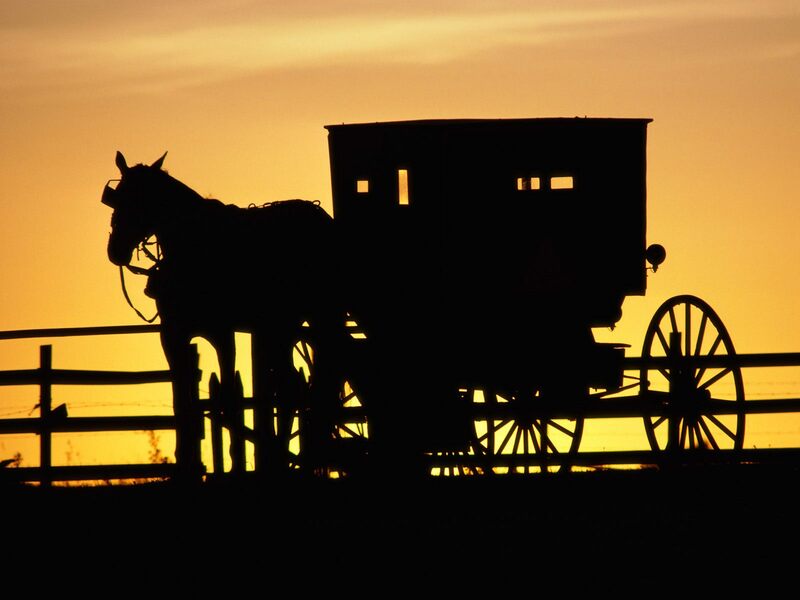 Recently there has been a string of attacks on Amish men and women by a group known as the Bergholz Clan. This Clan barges into the homes of other Amish that they consider to be weak in faith. They hold down the individual and proceed to cut off their beard and hair. This is intended to be an act that causes shame since Amish men do not shave once they have been married. Below is a video clip of the story that takes place in Holmes County, which is about 50 miles from me. I have tried to embed it. If it doesn't work you can read the story and see the video here. I suppose there are fundamentalists in every group. I heard this on the news last night and they said the leader of the Bergholz clan is Bishop Sam Mullet. That seems an ironic name for a man terrorizing others with haircuts. Please get your facts straight. Sam Mullet is not a fundamentalist. He is an oppressive cult leader. He and his followers were deemed to NOT follow Amish beliefs by the elders of many Amish congregations throughout Ohio and Pennsylvania. The Amish community thus shunned Sam Mullet and his Bergholz clan. In retaliation, members of the cult attack and attempt to disgrace by beard and hair cutting the Amish people (men and women). Mullet is NOT an AMISH fundamentalist - he thinks that he is the supreme law maker and anyone disobeying his laws needs to be punished. John Byron (or your writer,) you have posted an example of your own ignorance. You need to publicly apologize and publish the truth.